You can download the image at https://t.co/TutUZ9taVS to print. This entry was posted in #CitrixPartnerLove, Citrix, Digital Workplace, Digital Workspaces, HDX, HDX Realtime, Lync, Microsoft, Mobile Workspaces, Skype for Business, Skype4B, Software-Defined Workplace, Software-defined Workspace, Windows 10, Windows Server 2016, Workspaces, XenApp, XenDesktop and tagged Citrix Receiver, Deploying Lync 2013 on Citrix, Deploying Skype for Business 2015 on XenApp 7.x, Deploying Skype for Business 2015 on XenDesktop 7.x, HDX RealTime Connector, HDX RealTime Media Engine, Lync 2013, Skype for Business 2016 on September 4, 2017 by lyndonjonmartin. Today I received my new Mac, yes I’ve decided to move from a PC to a Mac for various reasons (those whom know me are probably going really!?) 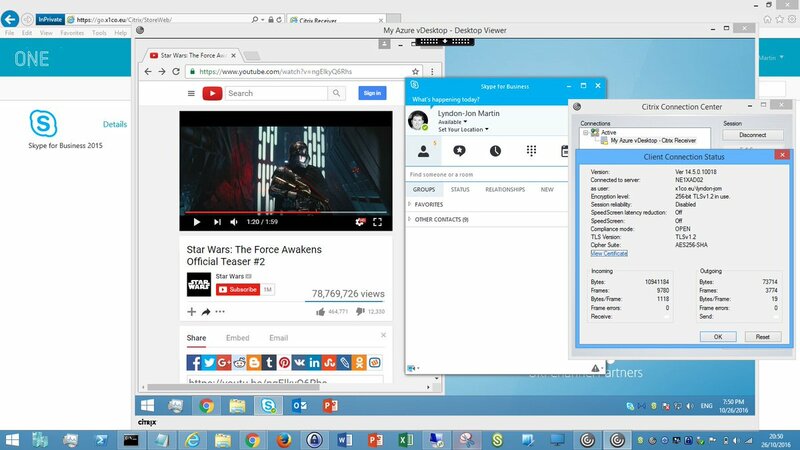 but I still have a Windows 10 tablet PC which I use regually at home, but most importantly my Windows 10 Citrix issued virtual desktop powered by XenDesktop (Citrix on Citrix) follows me anywhere with Citrix Receiver or the HTML5 Citrix Receiver! I didn’t even turn on my old PC I just started working within less than 15 min from my new MacBook connected to my Win10 VD via Receiver and i’ll just sort out what I need locally like Reflector, NAMP e.t.c over the weekend as its a busy week post our local partner event Citrix Partner Accelerator. 4. Next I opened Safari and navigated to http://receiver.citrix.com and it auto detected for me that I am connecting from a Mac and presented me with a download link to Receiver for Mac 12.4. 5. Once downloaded I installed it simple! 8. I clicked on my Windows 10 Virtual Desktop powered by XenDesktop and my new mobile #SecureWorkspace is ready to go within less than 15 minutes! This entry was posted in Citrix, Citrix Receiver, Digital Workspaces, HDX, ICA Proxy, Microsoft, Mobile Workspaces, NetScaler Unified Gateway, Remote Access, Software-defined Workspace, Windows 10, Workspaces and tagged #CitrixLife, Citrix Receiver, HDX, Mobile Workspaces, Receiver for Mac, SecureWorkspaces, Windows 10, XenDesktop on March 1, 2017 by lyndonjonmartin. The following content is a brief and unofficial prerequisites guide to setup, configure and test delivering virtual apps and desktops powered by XenApp & XenDesktop 7.12 prior to deploying in a PoC, Pilot or Production environment by the author of this entry. The views, opinions and concepts expressed are those by the author of this entry only and do not necessarily conform to industry descriptions or best practises. The views expressed here are my own and do not necessarily reflect the views of Citrix. 1. Yes it’s now avaiable & back “Local Host Cache” or LHC as it was most commonly reffered to previously and its back now within XAD 7.x Flexcast Mangagment Architecture (FMA) platform and everything you need to know is avaiable at – http://docs.citrix.com/en-us/xenapp-and-xendesktop/7-12/manage-deployment/local-host-cache.html* & https://www.citrix.com/blogs/2016/12/07/local-host-cache-for-fma/ but a few note worth points to mention below followed by an overview of LHC vs. 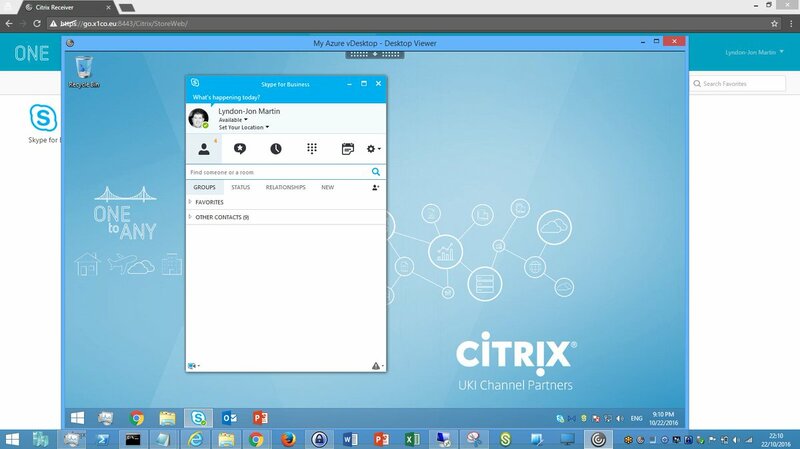 Connection Leasing by a Citrix XenApp & XenDesktop PM Craig. I have also embedded a how-to enable below along with a basic and brief architectural overview of LHC in XAD 7.12 which is powered by FMA and not IMA which is for anything XA 6.5 and below. – N.B LHC is disabled by default to enable it open up PowerShell in Admin mode or launching a PowerShell session using Studio and enter in the following “Set-BrokerSite -LocalHostCacheEnabled $true -ConnectionLeasingEnabled $false” once the command completes execute the following cmdlet “Get-BrokerSite” and check that the following value of “LocalHostCacheEnabled” is set to “True“. Note that CL is now also disabled and both CL and LHC should not be running simultaneously together as this is not supported. – LHC services “High Availability Service” performs shadow copy of the control info that the XAD Controller requires and the “Configuration Sync Service” will sync control info/data. – Adequately size your XAD controllers correctly to account for the compute load required during an outage, please ref to the “RAM size” and “CPU core and socket configuration” sections under “Design considerations and requirements” at LHC documentation at – *. – LHC utilises Microsoft SQL Server Express LocalDB and is auto installed when you install the XAD 7.12 controller and is installed regardless of weather LHC it enabled or not. – Local Host Cache is enabled if connection leasing was disabled before the upgrade vs. Local Host Cache is disabled if connection leasing was enabled before the upgrade. – To force an outage to test LHC in your home lab or organisations test/uat environment on the XAD controller open regedit as a Admin navigate to HKLM\Software\Citrix\DesktopServer\LHC” thereafter create a registry key “OutageModeForced” and set the value to 1 to force an outage mode once you have completed your tests then revert the value to 0. I would suggest prior to attempting to perform this test place a load with a few test by active users for Server VDA based workloads (XenApp) to best understand how LHC works in a failure scenario. 2. 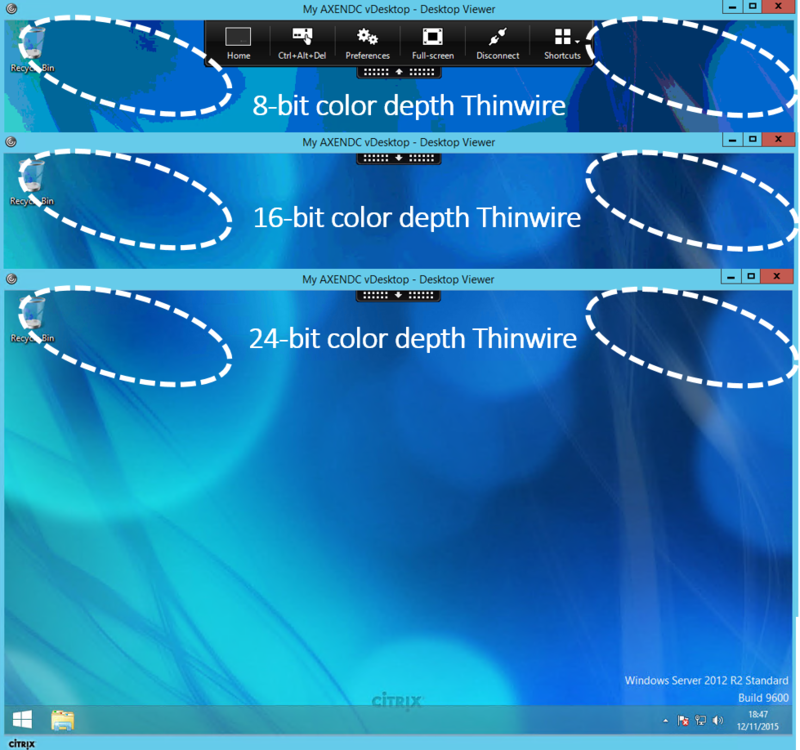 Thinwire Compatible Mode 8-bit color depth support (7.12 VDA only otherwise fallback to 24-bit by default) which is configured by select the following HDX policies. – “ Use video codec for compression” and ref to “http://docs.citrix.com/en-us/xenapp-and-xendesktop/7-12/policies/reference/ica-policy-settings/graphics-policy-settings.html#par_richtext_bc19“ for a list of avaiable configurations please note that if configured for the entire screen then 8-bit is NOT SUPPORTED! 4. Azure Hybrid Use Benefits support e.g enable or disable support for the Azure Hybrid Use Benefits (HUB). 6. NetScaler UG now supports H/A of HDX Framehawk – http://docs.citrix.com/en-us/xenapp-and-xendesktop/7-12/hdx/framehawk.html with supported NS firmware builds for Framehawk which include 11.0.62 & 11.0.64.34 (+ preffered). 7. HDX Enlightened Data Transport (for evaluation only) or “EDT” – http://docs.citrix.com/en-us/xenapp-and-xendesktop/7-12/policies/reference/ica-policy-settings.html. You can learn more about this evaluation by reading the following blog posts – https://www.citrix.com/blogs/2016/12/14/overcoming-latency-to-serve-a-global-user-population/* and https://www.citrix.com/blogs/2016/12/08/take-a-look-under-the-hood-of-next-generation-hdx/ by Citrix’s HDX PM Derek. 8. You can very easily setup and try XenApp 7.12 in Microsoft Azure today via Azure Marketplace by searching for “XenApp 7.12” or click the following link – https://azure.microsoft.com/en-gb/marketplace/partners/citrix/citrix-xacitrix-xa-trial/ after signing into the Azure Portal at – https://portal.azure.com/. 9. Tagging with “App Groups” now provides the ability to a tag a VM(s) so that when published virtual apps in Application Group or virtual desktops in a Delivery Group are restricted to launch from VM(s) that have been tagged. 12. Although this one is not strictly new to StoreFront 3.8 and XenApp/XenDesktop 7.12 its often an overlooked feature (For CTX SysAdmins) which is the ability to securely export and then re-import your entire StoreFront configuration including using PoSH credentials for (de)encryption of the backup configuration. To learn more please check out – http://docs.citrix.com/en-us/storefront/3-8/export-import-storefront-config.html and use the feature prior to any StoreFront upgrades or migrations. I would strongly recommend that you review and understand the Deprecation forecast announcements made during the XenApp/XenDesktop 7.12 release which is avaiable at – http://docs.citrix.com/en-us/xenapp-and-xendesktop/7-12/whats-new.html#par_anchortitle_5da8. This entry was posted in Citrix, Digital Workspaces, HDX, HDX Broadcast, HTML5 Receiver, Mobile Workspaces, X1 Mouse, XenApp, XenApp and XenDesktop Service, XenDesktop and tagged 8-bit, AppGroups, Citrix 7.12, Citrix Insight Services, Citrix XA 7.12, ECM 8-bit, HDX Enlightened Data Transport, HDX Enlightened Data Transport (for evaluation only), HDX Monitor, HTML5 video redirection, LHC, LHC for FMA, Local Host Cache, Local Host Cache for XenApp 7.x, NetScaler H/A for Framehawk, StoreFront 3.8, StoreFront multiple IIS websites, tag restrictions with Application Groups and desktops, Tagging, Tags, Tech Preview of New Adaptive Transport in 7.12, Thinwire Compatible Mode, Thinwire+ 8-bit, Understanding XenApp 7.12, What's new in XenApp 7.12, XA 7.12, XD 7.12, XenApp 7.12, XenApp 7.12 in Azure, XenDesktop 7.12 on December 13, 2016 by lyndonjonmartin. We now live in a world or era that is always on, digitally connected and contextual. Users demand the same if not a BETTER user experience (UX) in there workplace or workspace environment as there UX at home with on-demand content, fibre broadband e.t.c is simple, fast, efficient, rich with an HD experience. Deploying a next generation workplace strategy today in 2016 and beyond is fundamentally as critical as e-mail, unified communications e.g Skype4B vs. deploying your IT infrastructure for business continuity purposes in the unlikely event that disaster strikes. So you maybe thinking well I don’t really gain anything from deploying a next generation or workspace in 2016 right? Here is one of my own personal comparisons or one of the many ways I describe my workspace which for me is a mobile workspace. It’s 1995 your on holiday with friends and family at the seaside and you want to watch a video at your seaside holiday home so you goto the video store and browse the movies by genres, select a few and perhaps buy some popcorn (fav your choice of course) and then rent a TV along with the VHS player. You take it home plug it in and watch the first movie happy times! It’s time for a quick comfort break select another bag of popcorn before starting the second movie and sure enough your off in 10-15 min more happy times! It’s now 2016 this time it’s you on holiday at the seaside with your own children and there friends but there is NO video store anymore or you just don’t care to go out so instead your checking for 3/4G or Wi-Fi connectivity and how good it is, which you sort out some how 🙂 and now your browse then stream a few movies from the movie store on your tablets in some app (kids vs. you) and within a few min the kids are quiet and your off to the kitchen to microwave some of their favourite popcorn which your previously bought on the way at the supermarket to your holiday destination which now also equals happy times! Ultimately both holidays provided that feel good feeling with different but Rich & also HD experiences for there respective times but in today’s world we need to allow users to be agile, dynamic in the way that they want to work but still provide that UX that meets the old workplace or holiday experience along with today’s new digital rich & HD experiences. You need to bridge the divide or gap so to speak between those comming into the workforce today vs. those exsiting by implmenting a *software-defined workplace to enable workspaces that blend the best of 1995 and 2016 experiences together but working together smarter e.g use secure electronic form apps powered by EMM with workflows on a tablet vs. paper based static print outs (http://thinkbeforeprinting.org/) with comments on the side of the paper or the back which is then scanned to be sent via e-mail at the office. Now you can fill-in the electronic form over a cup of coffee with your customer along with other employees at their premises discussing how much faster this process now is vs. the paper based approach over the telephone while you were back in the office and then coming to visit them once they downloaded the e-mail and scanned attachment on dial-up the previous day! You could also undercover new business while building a better and stronger customer relationship. Finally if my holiday comparison between 1995 vs. 2016 to embrace a workspace doesn’t make sense to you then I’d encourage you to watch the embedded video below. This entry was posted in Citrix, Digital Workplace, Digital Workspaces, Mobile Workspaces, Software-Defined Workplace, Software-defined Workspace, Workspaces and tagged Digital Mobile Workspace, Digital Workspace, Mobile Workspaces, Mobile Workstyles, Software-defined Workspace, Thought Leadership, Workspaces on August 28, 2016 by lyndonjonmartin.